We’re from a small town called Bridgend, South Wales. The band has been together for 3 and a half years now but Dave came and joined the line up around 2 years ago. Ronnie’s dad was out in his allotment one day and would shout at the crows, for nibbling at his veg…he’d shout “Those Damn Crows”. Ronnie brought it to the table as a song idea, but we all thought it was a wicked name for a loud rock band. Could almost imagine the older generation shouting “Those Damn Crows” with a raised fist for being too loud! Our music has many influences, we love the classic rock bands, like Aerosmith, AC/DC, Led Zeppelin etc. but growing up in the 90s we grew up with bands like Nirvana, Green Day and Alice in Chains. Then came Foo Fighters, etc. Throw in some storytellers like Bruce Springsteen and Johnny Cash and it’s a mixture of it all. It’s loud! It’s energetic, it’s fun…that’s the way it should be, right? There’s plenty of chances for the crowd to get involved, we have breakdowns in our songs to get the crowd going, singing and cheering. There’s no better feeling than when the crowd sing your songs back to you! Yes! We played last year and we loved every second of it!! Cannot wait to get back to Scotland and play to our Celtic brothers and sisters! It will be a 45min set including songs from our debut album Murder and the Motive but there will be a few new songs thrown in, as we have not played them in Scotland as yet! 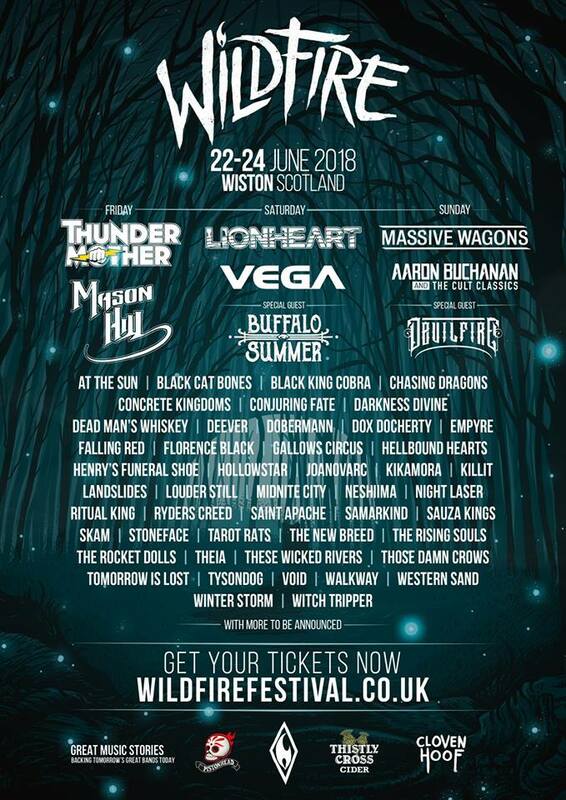 There’s so many, it’s such a great line up this year, but we’ve done a few shows with our label brothers Massive Wagons (they know how to put on a show) Aaron Buchanan, Mason Hill – it’s a great lineup! It’s a really exciting time for us Crows; we have lots of shows and festivals on the card: Planet Rockstock, Steelhouse Fest, Ramblin’ Man, just to name a few. We’ve literally just signed a record deal with Earache Records so it’s a new chapter for us as a band and we can’t wait to share it with the fans! Obviously, signing a record contract with Earache has to be top of that list, but so far…playing at Planet Rock’s Winter’s End was a big deal just because of the reaction and response we had from the crowd during and after the show – it was immense! Being asked to play Hard Rock Hell in Ibiza was also a highlight for the same reasons but it’s the first time us Crows have left the UK to play a show! Right now? It would have to be supporting Foo Fighters, not just cause we’re huge fans of their music but they just seem to kill it (performance wise) every show they do. And to hang out and party with them after the show would be carnage! ‘Cause one thing our band can do after the show is party! We’re playing on the Friday and we cannot wait to hit the Wildfire stage! Cloven Hoof…but to be fair, any alcohol will do!